It has been a fabulously fun packed month of June for Nine Swords and the whole Secret World Legends community - and you definitely all deserve a 5minute break … so feet up, grab a cup of tea and settle down with the latest issue of the Nine Swords Newsletter!! Today, our traveller - Shin, stopped by the forums to give us an update. With his update, he also announced that he will be stepping down as a leader within Nine Swords. I know I am not alone in appreciating all the efforts that Shin has invested into Nine Swords - so please join with me in wishing him well and thanking him for being a great leader in our cabal!! I am excited to announce the promotion of Cherrie into our Nine Swords leadership team. Cherrie joined Nine Swords in November of 2017, and by the start of 2018 had joined the Recruitment division. Since then she took on her responsibility with gusto and has made an incredibly positive impact on the recruitment within our cabal. Therefore, we are very happy that she has accepted an increase in responsibility. Please join us in congratulating Cherrie in her promotion to leader in our Recruitment division! Congratulations to us all on Nine Swords reaching it's 6th year!! This year is definitely a special year with it being the first year since we moved over to Secret World Legends - we have seen a surge in PvE activities in the cabal, though our focus still remains for us to all have as much fun as possible. 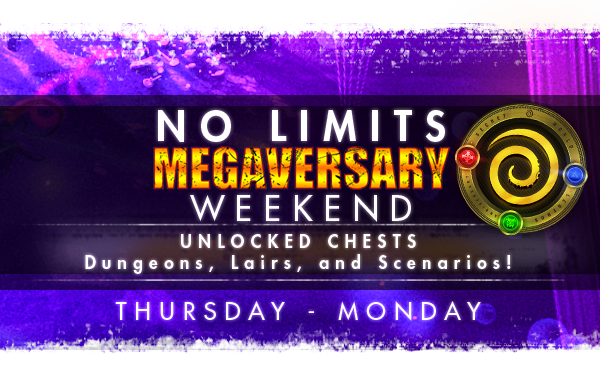 We hope you will get involved in the competitions we have set up this week as part of our Anniversary celebrations, as well as of course logging in to join in with the Secret World Legends anniversary events that run until July 11th, and the community run MEGAVersary events that kick off today as well. Tomorrow we will be having a cabal meeting to give you all a chance to come along and hear from Durendal, and all available leaders. It will be great to see you all there! Here is to many more years for Nine Swords! I am thankful to each and every one of you for contributing to making our cabal a success.